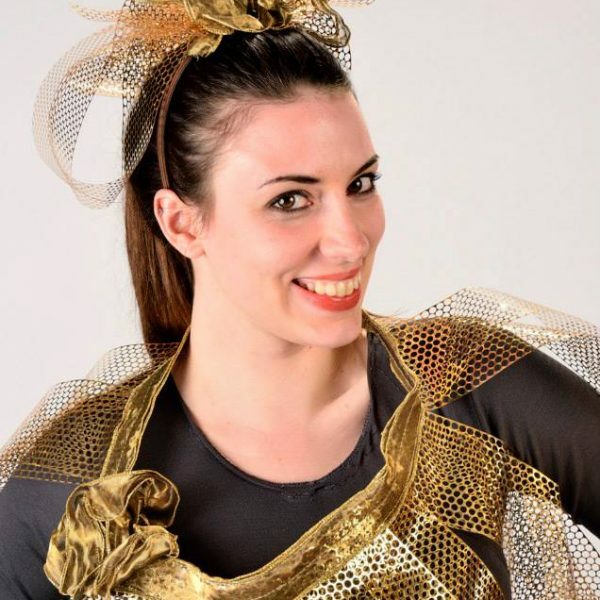 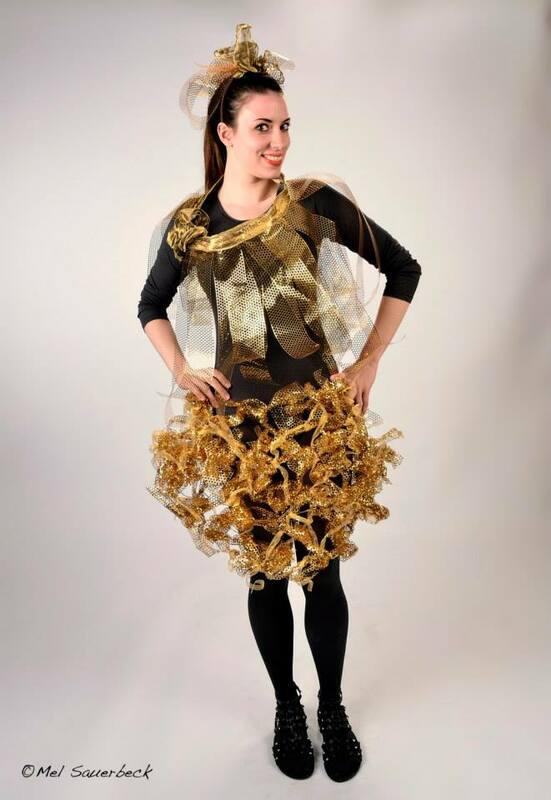 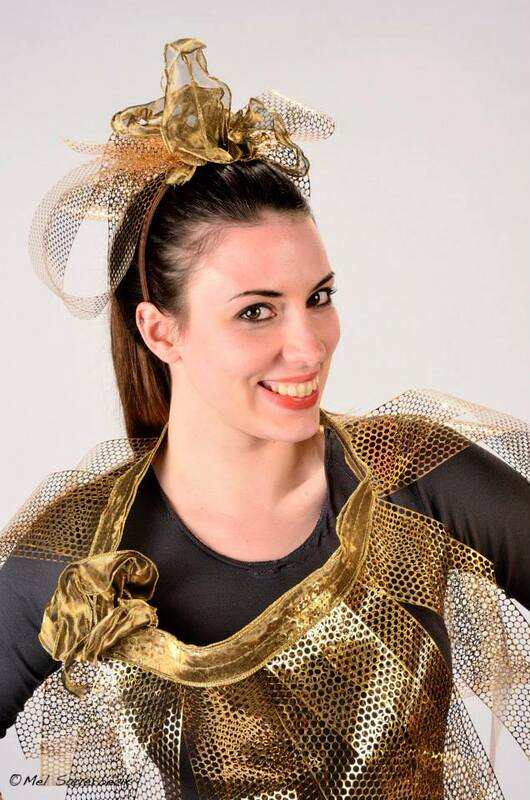 This ensemble was created from recycled and re-purposed metallic and cloth ribbons. 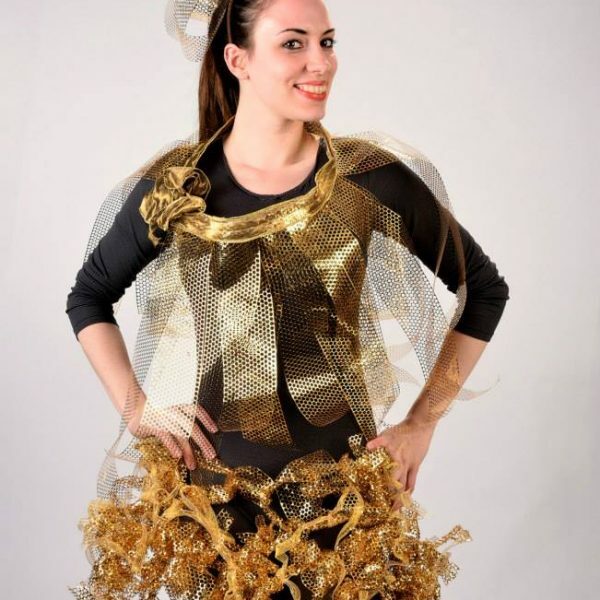 It was shown at the 2014 EcoJam Fashion Show, Fairfield, Iowa. 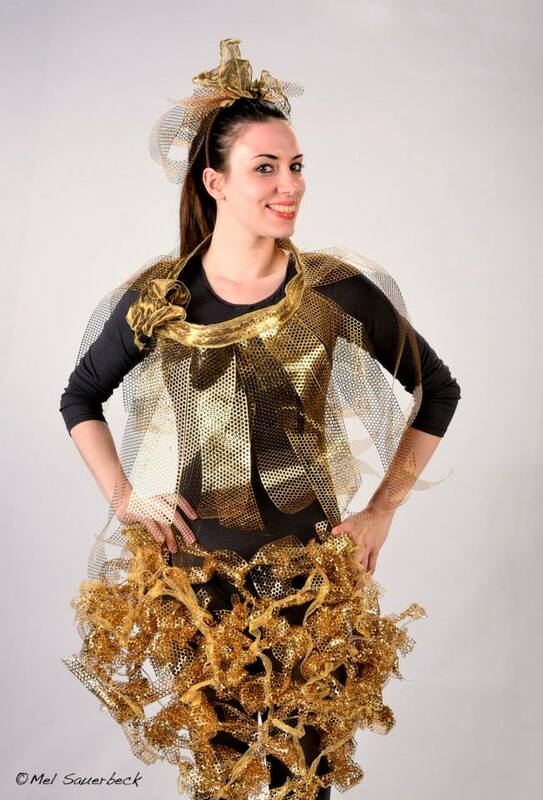 Photos of this garment and the artist’s EcoJam line modeled on the runway be seen at EcoJam Fashion Show.